Step 1.) select menu button of your android device. Step 2.) 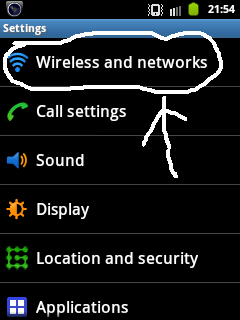 Go to “settings” and then select “Wireless and Networks” and go to “mobile networks” option. i.e go to settings -> Wireless and networks -> Mobile Networks. In the mobile networks their might be an option of “use data packet” or related to data packet. Step 3.) 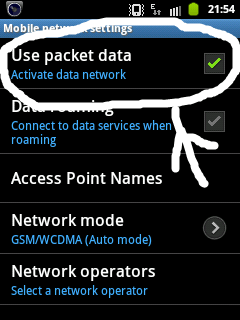 Search for “Use data packet” and enable or disable that by ticking that option. Read how to take screenshots in samsung galaxy, Jio new plans, JIO DTH articles also. This action will save unnecessary power consumption of your phone, i.e will battery power of your android phone. I can’t connected with internet using laptop wifi.